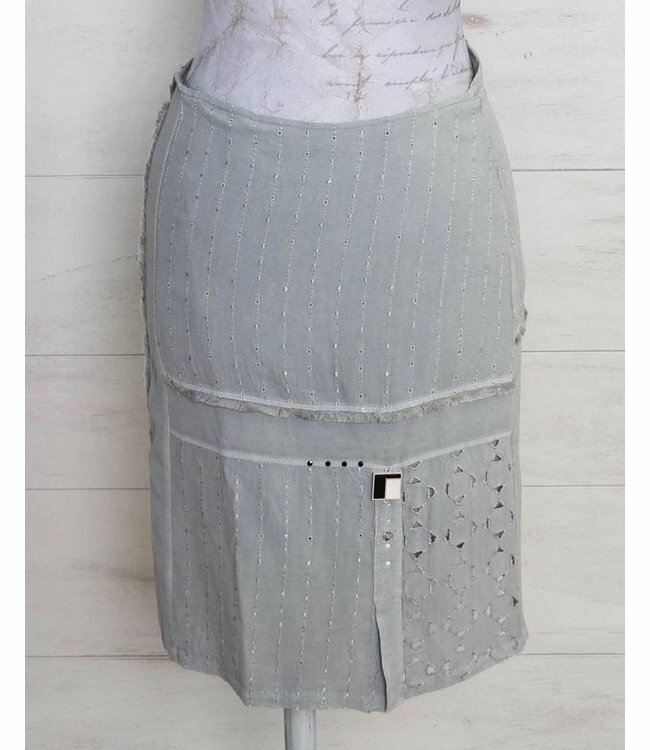 Knee-length skirt, grey, with zip at the back. Featuring a variety of fabrics, some with open embroidery, lined with a soft slip. You can also find the matching top ELP179011826 col. 22017 Urbano in our Shop. Romantic camisole top, silver-grey, embellished with beautiful crocheted lace at the front.